Armed with a pistol and a face only a mother could love, Harvey Dent will make quite an impression on anyone who wanders into your kitchen and finds him stuck to your refrigerator door. They might think twice before snatching any goodies from inside! 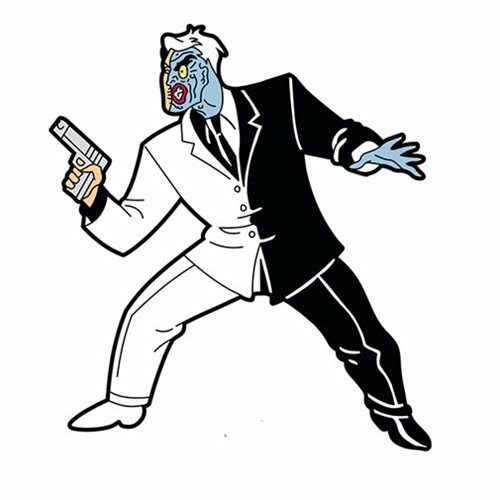 That's only one of the many reasons you should order this awesome Batman: The Animated Series Two-Face Mega Magnet inspired by the TV series.